In September this year, the Sustainable Development Goals (SDGs) were agreed upon by world leaders in New York and this month, countries will attempt to agree on a global deal to combat climate change in Paris. The actual success (going beyond the symbolic consensus) of both the SDGs and a potential climate agreement is contingent on technology and the extent to which it is shared, adopted and dispersed successfully. Technology innovation, development and transfer are key to eradicating poverty, striving for equity in global lifestyles, and avoiding dangerous levels of climate change. For technology to be effectively applied to the global development and climate agenda, however, a few systemic flaws and some new realities need to be acknowledged and then responded to. A technology-centric response to the problems of the 21st century will require formulation of policies that reflect the changing nature of global technology flows, production and consumption paradigms. The regimes of technology innovation and transfer currently in use are from a period when developed countries were both producing and consuming the products of technology innovation. This meant innovation led to increased purchasing power in the local community and the extended neighbourhood. It was therefore easier for people to absorb such innovation and pay for it. These structures are incongruous with the consumption realities of today, underpinned by globalisation. Technology innovation and production still occur in developed countries but the largest group of consumers are now in developing countries. The scale of consumption in Asia in particular is creating new markets for corporations from the OECD countries. This trend is going to become a new reality in coming years. The McKinsey Global Institute predicts that nearly half of the economic growth between 2010 and 2025 will come from 440 cities in emerging markets. China and India will naturally lead this new consumption paradigm. And Asia will soon be joined by Africa in the shopping aisle. Alongside these new consumers is another nuance that must be factored into the debate around technology. The largest economies of tomorrow will comprise large numbers of low income and poor households. Big economies will remain poor societies for some time to come in this century. Therefore, technology and royalty regimes around technology must cohere with development assistance paradigm and the global development agenda that seek to improve the lives of the poor. Developed countries have provided Official Development Assistance (ODA) (defined as financial flows administered by governments towards economic development and welfare of developing countries) of about 0.29% of their own gross national products. However, what would be interesting to uncover is the amount of returns that have been repatriated to the rich economies by way of royalties that allow technology access for the developing world. For example, as per figures from the World Bank, India received US$2.4 billion in ‘net official development assistance and official aid’ in 2013. To put such figures in context, Merck, a global pharmaceutical giant, reported pre-tax profits of just under $1.6 billion in 2014. The contribution of technology royalties earned from the developing world to that figure needs to be calculated. Imagine 500 such companies which are leaders in their domain, and it is easy to see why the developmental aid flowing to parts of Asia and Africa simply does not match the scale of the money flowing out to pay for access to technology. The OECD countries, their corporations and institutions are giving with one hand and taking back with both. A recent example of the burden of technology access are the Nokia royalty payments that flowed from India to Finland. Between 2006 and 2014, Nokia’s Indian subsidiary paid over INR 20,000 crore to its Finnish parent as royalties for the technology used in its manufacturing facility in Tamil Nadu. In 2013, Indian authorities alleged that Nokia owed over INR 2,000 crores to India on tax on the royalty payments. While this tax dispute continues, the outflow of $3 billion as royalty for handsets made by Indian factory workers — that Nokia was selling to lower and middle class Indian consumers – clearly demonstrates the profit motive of the parent is supreme. Since royalty outflows far outweigh inflows from developmental assistance, it might make more sense for developed countries to subsidise technology diffusion in developing countries by paying their own corporations, to allow for open access to technology in developing country markets. That would perhaps deliver a better return on the money being spent by Western nations to support development in the global south, particularly given the increasing linkages between technology access and economic development. In order to achieve the SDGs, it is also time to re-evaluate the global patents regime. For instance, Michele Boldrin and David K Levine, two economists from Washington University, St. Louis, have pointed out that the current patent/copyright system discourages inventions from actually entering the market. They opine the intellectual property rights (IPR) system only helps large corporations and multinational corporations rake up profits, noting that the majority of patents are registered by corporations rather than individual innovators. Boldrin labels intellectual property ‘intellectual monopoly’, arguing that it hinders innovation and wealth creation. All of this does not mean that India and other developing countries do not need to look inwards and explore policies and practices for creating a culture and system that encourages innovation. The demographic dividend offers these countries a chance to develop a generation of technologists innovating for the bottom of pyramid needs. At the same time, real cooperation with the OECD countries on joint R&D will enable a blending of product innovation capabilities of the developed world and process innovation that some of the developing countries have excelled in. India’s position is that technology transfer is not enough in itself, just like Foreign Direct Investment (FDI). Domestication and indigenisation of technology are prerequisites to development as well as for a non-liner growth trajectory. Joseph Stiglitz has noted that the most defining innovations of our time were not motivated by profit but rather by the quest for knowledge. The patent system was created to reward innovators but is now stifling innovation, feeding the hunger for profits and perpetuating the north-south divide. In order to support the development agenda, combat climate change, achieve parity in global lifestyles and shape an equitable planet, the tyranny of technology must be replaced by the technology panacea. Governmental resources and policies must be directed towards encouraging open innovation so as to avoid the incumbent’s monopoly on the current system, which is compromising the ability of developing countries to fight poverty and guarantee the right to life. There is a need for studies that examine the impact of the IPR regime on economic activity in specific sectors that will demonstrate where IPR can stimulate innovation and where it does not. The SDG and climate agendas, perhaps the defining themes of the next few decades, cannot be held hostage to the ability to pay, for a perceived entitlement to profit perversely. It is time to examine the economic distortions that have altered the founding principles of patent and intellectual property right regimes. And it is absolutely the time to re-price innovation, to deliver for the bottom of the pyramid. A longer version of this article appeared in Global Policy and can be found here. The Indian proposition at Paris is fairly apparent and uncomplicated; it is also ambitious and steeped in India’s reality. The proposition which is delineated in India’s Intended Nationally Determined Contribution (INDC), can be seen to be responding to three core principles. The first foundational principle of any Indian contribution to the global effort on combatting climate change has to be to ensure that India’s wealthy – individuals, corporations and institutions — must not hide behind the country’s poor. They must bear the same level of responsibility and adhere to the same set of rules (agreed or normative) as global elites anywhere else in the world. This can be accomplished in fairly simple ways, and certainly by taxing conspicuous consumption at many transaction points (rather that making production costlier and thereby socialising the cost of climate mitigation). This is already underway. The bulk industrial user pays comparable commercial tariff to similar users in the developed world. Indian cities have introduced consumption-based graded electricity tariffs and this principle is being, and needs to be extended to transportation fuels, gadgets and appliances and indeed to other spheres where embedded energy use tends to be socialised. Already, on an average, an Indian spends more on procuring renewable energy relative to their incomes than the average American, Chinese and Japanese. India is determined to showcase its leadership in renewable energy consumption. It is today, the world’s largest biomass, third-largest solar, and fourth-largest wind energy producer. The INDC outlines India’s ambition to significantly scale up renewable energy capacity in the country with a target to achieve 175 GW of renewable energy capacity by 2022. The elite and entrepreneurial Indians form part of this first INDC proposition. The second principle is that India does not see any fundamental incoherence between being structurally dependent on coal while also leading a global green transition. These are mutually exclusive realities and if India can get this transition right, it will have a unique model of industrialisation that can be shared with many other countries that are further down the development pathway. Coal is still a necessity for multiple lifeline initiatives of the country to lift millions out of poverty. Clean energy, on the other hand, is a transformational opportunity – a moment for India to not only assume moral leadership but to develop competitive advantage in a new paradigm for growth in a fast-changing world. The INDC document recognises that India’s electricity demand is set to increase from 774 TWh in 2012 to 2,499 TWh in 2030. This increase is necessary if the country is to industrialise, eradicate poverty and provide its population with better living standards. This growth in energy base is predicated not only on the exponential ramp up of the clean energy generation capacity as mentioned earlier, but also through a steady and calibrated increase in its fossil fuel based generation. And as facts indicate, the unnecessary alarmism on India’s ramp-up of coal is shallow. An average Indian today burns less than 20 percent of the coal consumed by an average American or Chinese and about a third of the per capita OECD appetite1 . Further, India’s peaking per-capita emissions even after this four-fold growth in energy consumption is not likely to cross the threshold of between five to six tons per capita. In fact, based on the INDC submissions, none of the major developed nations will achieve this level of per capita emissions. The bottom line then is that, while India will “Go Green” and is seeking to lead the green transition (Solar Alliance is an example), it will also have to “Grow Coal” to meet its development objectives. And while it is doing that, there is no reason why the veil of faux moralism that envelops the lazy European political class should prevent India from seeking efficiency gains in the coal sector. If we are to grow coal, it makes sense to do it in the cleanest way possible. 111 coal-fired power plants in India resulted in 665 million tonnes of carbon dioxide emissions in 2010 – 2011 from an installed capacity of 121 GW. In 2030, it is estimated that India’s coal capacity will be anywhere between 300 – 400 GW. The World Coal Association (WCA) estimates that a 1% improvement in the efficiency of a coal power plant results in reductions of 2-3% in CO2 emissions. Investment in improving efficiency of coal-fired power stations through improvements in boiler efficiency and support for purchase of super critical technology is the low hanging fruit in the climate battle. A 1% improvement over 10 years in the efficiency of just currently operating coal power plants in India will save the entire current emissions of Belgium. A 1% improvement in future coal capacity will save the entire current emissions of Australia2 . At the same time, the irrational alarmists residing within India and in the developed world must note that despite the necessary growth of coal, India’s emission will peak lower than any other country that would have industrialised before it and its transition time will be much quicker. Finally, India, due to its diverse agro-climatic regions, is already experiencing the negative impacts of climate change and extreme weather conditions. It will need to create innovative social policies and business models that are able to increase the resilience of local communities and help fund and strengthen the nation’s adaptive capacities to climate change. Any development policy implemented today must always be to increase the ability of the poor and weak to respond to climate change. Despite the adverse impact climate change will have on sectors such as agriculture and coastal economies, the Indian government recognises that assistance from the developed world on climate change adaptation will not be forthcoming. Taking this into consideration, the Government of India has indicated its intention to set up its own domestic adaptation fund in its INDC. If global partnerships contribute in this effort, vital resources can then be diverted to further bolster mitigation actions. Having outlined the Indian proposition, let me now define three structural infirmities in the global system that must be resolved if collective action on climate change is to be successful. The first stems from the tyranny of incumbency. Carbon space capture by incumbents has created limited room for the development needs of those who require this space to breathe and grow. Therefore, before carbon space or resource space can be retrieved, the discursive space needs to be reclaimed for a sensible conversation on climate change. The discourse needs to change from the unavailability of carbon space in light of climate realities to one where carbon space is vacated by developed countries so as to accommodate the needs of developing nations. 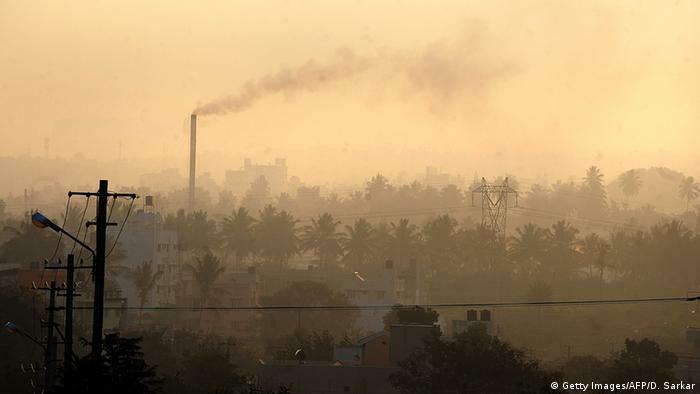 For every new coal plant that comes up in India, one in the West should be shut down. The early raiders of the 19th and 20th century got away with the carbon loot but it’s time that carbon space is reclaimed. When a shift from unavailability to accommodation takes place and when incumbents within and across nations are encouraged and compelled to cede space, we will find that there is new room to manoeuvre. Second, if green energy is seen as a collective global response to mitigate carbon emissions, it is self-defeating to sustain a global system where the cost of green energy installations in countries that have the potential to ramp up such installations quickly and more widely, such as India. Is 24% to 32% more costly? In essence, we are perpetuating a system that reduces mitigating capacities by a fourth. To correct this, we will have to seriously re-organise the alignment of banking norms, global financial institutions, and climate and development imperatives at a granular level. The bankers, investors and innovators must be made co-stakeholders and must bear similar responsibilities to those borne by nations and communities. At present, the financial system is agnostic, if not explicitly climate-unfriendly. This brings me finally to the vexed issue of technology. If access to technology has a price tag (by way of royalty payments) higher than the forthcoming development aid or climate finance, then we must realise we are in a system where the poor are underwriting the cost of mitigating climate change and we have succeeded in creating a system where the polluter profits and victim pays. This not only undermines the moral pivot of responsibility but turns the idea of differentiated responsibility on its head. Difficulties in technology flows will also compromise ambitious action by developing countries such as India. India’s INDC predicate the success of India’s ambitions on the availability of technology (some of which are listed) and financial flows (not aid) at commercial, competitive rates from the financial system. Specifically on financial flows, the INDC’s call for new and additional finance for climate change, recognising the fact that there is currently a huge shortfall in supply and demand for climate finance. The International Energy Agency (IEA) has stated that except for a “breakthrough at the Paris UN climate conference in 2015,” the existing international framework and market structures will be unable to mobilise funds for climate action at the required pace or scale. Simply put, the fewer the impediments to access technology and finance, the greater the probability of success for India to lead an ambitious effort on climate change. COP21: Can India reconcile growth and environment? India is among the countries most vulnerable to climate change. But as a developing nation, it also faces a balancing act between reducing CO2 emissions and boosting economic growth. DW examines India’s role in COP21. Already one of the most disaster-prone nations in the world, India is also likely to be hit hard by the effects of global warming. The South Asian country has very dense coastal populations vulnerable to rising sea levels. And the freak weather patterns which already taking place – such as extreme heat, drought, and the record-breaking floods in Chennai – will not only affect agricultural and food security, but also cause water shortages and disease outbreaks. The Indian government has reacted to the growing threat by rolling out an ambitious clean energy plan. New Delhi has pledged to invest $100 billion in clean energy investments over the next five years as well as to source 40 percent of its electricity from renewable and other low-carbon sources by 2030. Although it hasn’t specified a cap on its emissions, the South Asian giant wants to reach 175 gigawatts (GW) of renewable energy capacity by 2022 – up from currently 38 GW – of which 100 GW will be from solar energy. In fact, at the outset of the UN climate summit taking place in Paris from November 30 to December 11 (COP21), Indian PM Narendra Modi and French President Francois Hollande launched an alliance of 121 countries to dramatically boost the use of solar power. But will this be enough? Analysts point out that while New Delhi is well aware of the dangers posed by global warming, it also wants to make sure that any deal in Paris doesn’t restrict the country’s ability to expand its economy, with PM Modi saying that rich countries should not force the developing world to abandon fossil fuels completely. “We still need conventional energy. We need to make it clean, not impose an end to its use,” said Modi at the start of the Paris talks, calling on developed nations to meet their commitment to muster $100 billion a year from 2020 to help poor countries cope with climate change. Moreover, India sees itself as one of the most vocal proponents of “climate justice” – the notion that historical responsibilities as well as present-day capabilities matter greatly in shaping the climate governance regime. “From the perspective of New Delhi, it bears little responsibility for the exponential increase in greenhouse gas emissions since the industrial revolution, and also has very little capacity to address the problem when much of the country still lives in abject poverty and hundreds of millions of Indians still lack access to electricity,” David Livingston, an associate at the Energy and Climate Program at the Carnegie Endowment for International Peace, told DW. It is precisely this balancing act between boosting economic growth and reaching environmental goals that poses the greatest political challenge to leaders of developing nations such as India – which is already the world’s fourth-largest emitter of carbon dioxide after China, the US and the EU, according to the International Energy Agency (IEA). India is home to one-sixth of the world’s population, and its third-largest economy in purchasing power parity (PPP) terms, but accounts for only six percent of global energy use, with one in five Indians – 240 million people – still lacking access to electricity, according to the IEA. But the government’s plans to lift millions out of poverty will likely to change this, as efforts to modernize and industrialize India will trigger dramatic increase in energy demand. In fact, the IEA estimates that the country’s energy demand will account for roughly a quarter of the global increase in consumption by 2040. The problem is that coal – the key source of power in the country, accounting for around 60 percent of total electricity generation – is also a key source of carbon emissions. And due to the relatively low cost and large reserves of domestic thermal coal, it remains the key fuel source in India’s long-term energy strategy, as Rajiv Biswas, Asia-Pacific Chief Economist at the analytics firm IHS, told DW. The IEA estimates the expansion of coal supply will make India – which has some of the most polluted cities in the world – not only the second-largest coal producer in the world, but also the largest coal importer, overtaking Japan, the EU and China in the coming years. 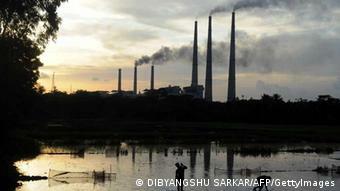 “India is a coal-focused country, and it plans to double its consumption in the next 15 years. This is the crux of the problem, given that it’s hard to imagine India substantially bringing down its emissions if it plans to scale up one of the most emissions-intensive energy resources out there,” Michael Kugelman, South Asia expert at the Washington-based Woodrow Wilson Center told DW. But while this may seem like a dire prospect, Livingston explains that from India’s perspective, New Delhi’s long-term climate strategy makes sense as it not only puts the country on a growth path, but also keeps per-capita emissions far below those of other industrialized countries such as the US. 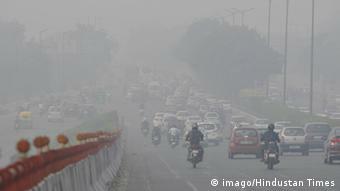 Today, India’s per-capita emissions are only one-third of the global average. “The paradox here is that while India’s implied emissions growth rate to 2030 is the largest in absolute terms of all large economies, the country still ends up with the smallest per-capita emissions of all these economies in 2030,” Livingston told DW. That’s why the key to the climate talks in Paris will be the level of support developing countries such as India can get from the international community to lower their dependency on fossil fuels, says climate policy expert Samir Saran. Indian representatives at COP21 have said the country would cut back on coal if the Paris agreement ensures it receives international support that brings down the cost of expanding renewable energy. “Solar and wind is our first commitment. Hydro, nuclear, all of these non-carbon sources are what we will develop to the largest extent we can,” Ajay Mathur, the director of India’s Bureau of Energy Efficiency, was quoted by the Associated Press as saying. “What cannot be met by these would be met by coal,” he added. A preliminary estimate by Indian authorities suggests that at least $2.5 trillion will be required for meeting India’s climate change actions in the next 15 years. They are to be met from domestic sources and leveraging of financial commitments made by developed countries, said Indian Environment Minister Prakash Javadekar in early December. Three-quarters of that investment is expected to go into the power sector. Bill Hare, a lead author for the Intergovernmental Panel on Climate Change and founder of climate research group Climate Analytics, believes the financial effort would be worth it. The expert warns that India would be making a very risky investment for its sustainable development by going too much further into coal when the alternatives are not only cheaper and more cost effective but also place a much lower environmental, health and damage burden on the country. “So from the development point of view, I think India has some stark choices ahead of it. If it goes into coal it will not contain its air pollution problems; if it goes into renewables, it will have a much better chance of a sustainable future,” said Hare. There’s currently a lot of talk about liquefied natural gas (LNG) opportunities in India. LNG is not as polluting as coal and oil, and India has explored possible cooperative opportunities with Australia and other countries to allow for import arrangements, said analyst Kugelman. But this is all preliminary. “For now, coal will remain king in India. And that’s a troubling prospect for the delegates in Paris,” said the India expert. India’s role in the ongoing COP21 talks is seen as pivotal – not least by virtue of its size, stature and emissions record. “India enters this climate summit with such looming development challenges, such capacity for innovation, and on such a growth trajectory that it is an indispensable nation in any meaningful global approach to climate change”, said analyst Livingston. An agreement without India’s participation would not only be “practically impossible” under the legal structures of the United Nations Framework Convention on Climate Change (UNFCCC) but would also lack credibility, the climate expert added, “The country on pace to becoming the world’s largest emitter in a few decades time simply cannot be left behind,” he said. Analyst Saran has a similar view. 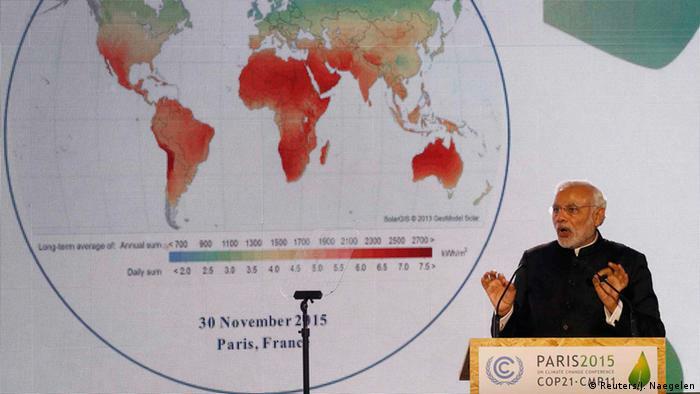 “India’s role at COP21 is critical. Unless a global agreement takes into account the concerns of one-sixth of humanity, it is destined to end in failure,” he said. Without financial support and technology flows from developed nations it is likely that developing nations such as India will continue to turn to cheap, highly-polluting coal to meet their development needs. But experts say that over time, the relative economics of conventional energy and new, clean technologies will change dramatically. A recent study from MIT has shown that we can expect the cost of wind energy to fall by around 25 percent, and solar by around 50 percent, based on anticipated investment, past trends and technology cost floors. “The implications of this are tremendous – it means that by 2030, both technologies would represent a negative cost of carbon abatement relative to coal in many areas. The logic of climate action would finally be articulated in the crude but compelling logic of economics, and this is a development that India, nor any other nation, could afford to ignore,” said Carnegie expert Livingston. 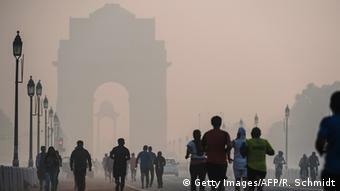 With climate talks underway in Paris, DW talks to expert Samir Saran about the role New Delhi can play in the success of a global deal. Saran says that India’s concerns need to be addressed to yield positive results. DW: What role can India play in the ongoing UN climate summit in Paris (COP21)? Samir Saran: India is the world’s third largest emitter and those emissions are only likely to grow over the coming decades. India’s population size means that unless a global agreement takes into account India’s concerns, it is destined to end in failure. The success of a global agreement is contingent on Indian participation and engagement. India is also in the unique position of relating to both the developed and developing world and acting as a bridge between the two. Its arguments of common but differentiated responsibility strike a chord with poor countries vulnerable to climate change and its own poor, who comprise one-third of the global poverty stricken populace. On the other hand, its entrepreneurial and industrial classes are throwing their weight behind ambitious action and leadership on climate change, which is increasingly matching that of developed nations, and in some cases even outstripping them. For example, India spends more of its GDP on renewable power than US, China or Japan. India’s role at the COP21 is critical for these reasons. How can India ensure that its economic development does not have a negative impact on the environment? This is a false debate. The dichotomy of development and environmental impact is an orientalist concept. 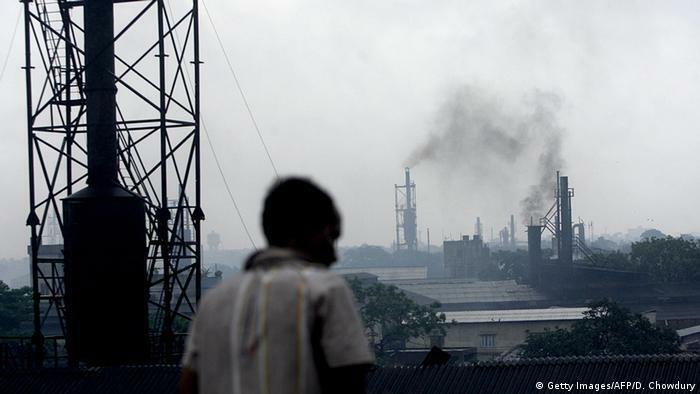 India needs its own fair share of carbon space to grow. There are two ways that can happen: either the west can provide the necessary scale of finance and clean technology that will enable India to rapidly deploy renewable energy to power its development, or, the West needs to drastically cut its emissions to allow for rising Indian emissions in the coming years. As for what is at stake, we live climate change realities every day in India, whether it is rising air pollution levels in Delhi or floods in Chennai. 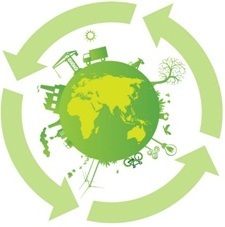 We are acutely aware of human impact on the environment and its consequences. You won’t find any climate change deniers in India. Climate impacts are inequitable and India’s poor are the most vulnerable to extreme weather events and natural disasters that are linked to climate change. In India there are three types of victims, those who are victims of poverty, those who are victims of climate change, and those who are victims of both. Developmental plans and economic prosperity has to be safeguarded through adequate adaptation measures and ambitious climate action in the country. How can India capitalize on its population growth? On a global level, if India’s renewable energy industry takes off and we are able to scale up our clean energy capacity in line with the ambitious targets outlined by the government, it will be an example to the world. We would be the first country in the world to transition to a middle income economy without having burnt its fair share of coal. That is an example that we can then export to other countries in Africa and Asia and help them along that same path, the benefits of which will be global. So the success of climate action in India is something the world has a stake in, not just Indian citizens. Which is why, receiving adequate support is crucial. What is New Delhi’s position in the summit? What can government offer, and what does it demand from richer nations? New Delhi’s position at COP21 is progressive, ambitious and forward looking. For its part, India is undertaking a massive, ambitious program of clean energy expansion, with a target of 175 GW of renewable energy by 2022. To put that number in perspective, India is basically planning to add more renewable energy capacity in the next seven years than Germany has added energy capacity in the previous 200 years of industrialization. It has launched the Solar Coalition along with France to further push the solar agenda among countries receiving abundant sunshine. India has also committed to reducing the carbon intensity of its economy and to support its adaptation needs through domestic finance. These are significant commitments and arguably we have been more ambitious than is required by the principles of historical responsibility and national capability. For a climate agreement to be truly effective however, developed nations need to support finance and technology flows to developing countries such as India. We need support for our clean energy targets and we need support for nuclear power. Over the next 20 years, India also needs to borrow roughly $1.8 – 1.9 trillion for infrastructure projects. But global financial institutions increasingly don’t want to invest in India’s infrastructure. The West is directing finance away from development to climate. That’s what we have to fight for. We need the West to not stop the 20th Century financing – roads, bridges, power plants – that are badly needed here. 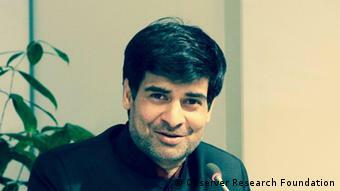 Samir Saran is Senior Research Fellow and also Vice President responsible for Development and Outreach at the New Delhi-based Observer Research Foundation. He specializes in climate policy. The interview was conducted by Gabriel Domínguez.